a marvellous card with a relly xtraordinary shape and style, hun! Gorgeous card Pat. I love the image and fabulous design. Happy New Year to you and family ! hope it's a good one for you ! Yes you did make an extraordinary card! 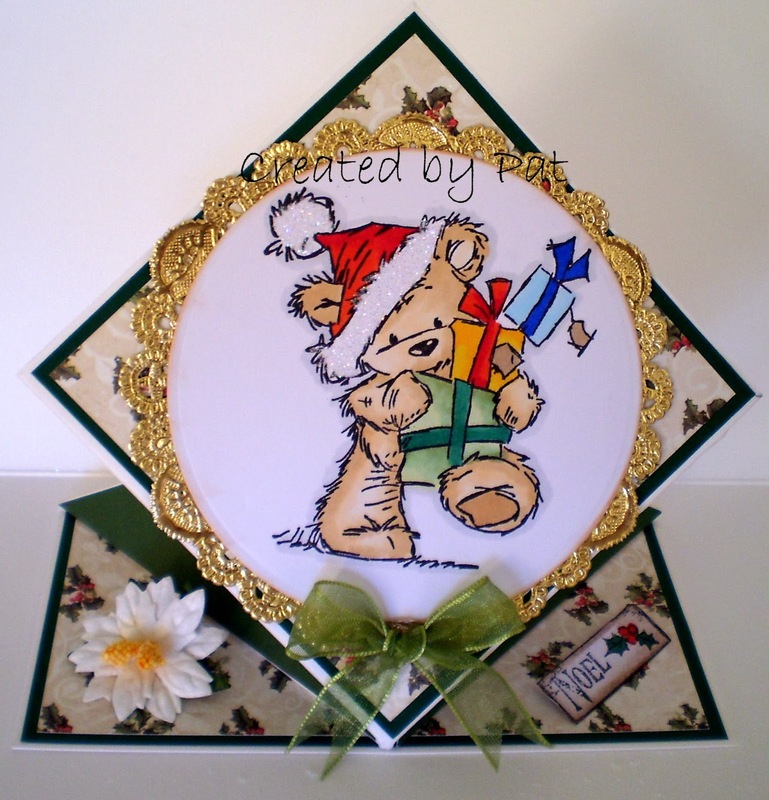 Beautifully made and so cute too! Love that green bow. Hey Sugar - I don't know if you are getting my comments or not. I have been having some problems with google. I did comment on this yesterday and don't know if it went through or not. This is one beautiful card Pat - you hit the jackpot with this beauty. Tht little bear is so cute and I love the green bow. Awesome card! It is truly X-cellent! Thank you for joining us on the Christmas Challenge at Wags 'n Whiskers.